Serial Murders in Connecticut: What is a 21st Century Serial Killer? What is a 21st Century Serial Killer? Filming with the woods of Connecticut as a backdrop. Two Netflix shows came to town last week: "Inside the Mind of a Serial Killer" and a new show, "21st Century Serial Killers." 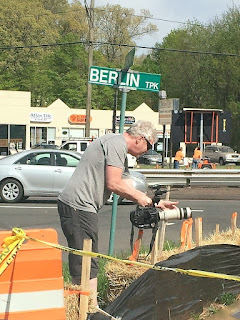 We had a busy three days of filming at my house and at relevant locations including the wooded area behind the strip mall in New Britain where Connecticut's most prolific serial killer, William Devin Howell, buried his seven victims. For those of you who have watched Season 1 of "Inside the Mind of a Serial Killer," you can already predict what that episode will be about- my quest to delve into the workings of Howell's mental landscape and explore his motives. No doubt, the show will include disturbing portions of the lengthy phone call that I had with Howell on Tuesday in which he discusses his downward spiral into darkness during the 9-month killing spree that took place in 2003. The premise of the new show also fascinates me. What is it that makes Howell and the atrocities that he committed unique to the 21st century? The answer is obvious: the heroin epidemic. The show's producer likened this moment in world history to the "The Gin Craze" in the first half of the 18th century, when unregulated distillers preyed upon the poor with all-grain based alcohols that resulted in overconsumption and often death. Today's worldwide opioid crisis, which frequently leads addicts to using even deadlier street drugs like heroin and crack cocaine, makes Britain's Gin Craze seem tame by comparison. Heroin and crack turn ordinary people into desperate shells of human beings willing to do just about anything to get their next fix- including selling their bodies on the streets. Howell knew just what he was doing by preying upon the victims of this 21st century nightmare. He had no shortage of vulnerable women to choose from. Drive along the Berlin Turnpike and you will see what I mean. The motel room on the Berlin Turnpike where one of Howell's victims lived. 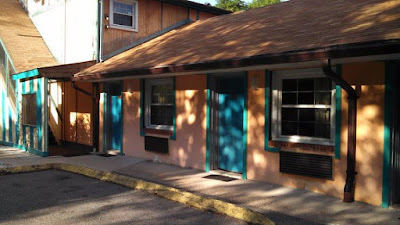 On our second day of shooting, we went out to the motel where one of Howell's victims lived for the last 6 months of her life. 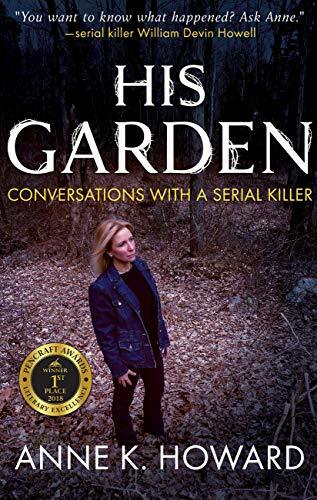 We had just visited the burial ground behind the mall, and my mind was fresh with images of Howell throwing his victims into the ravine beside the parking lot and then dragging their bodies into the forest to dig their shallow graves. So when I saw a drug-addicted young woman emerge from the motel along the Berlin Turnpike, the soiled sweat pants hanging from her skeletal frame, the gaunt, bloodless face and vacant eyes staring up at me as she asked if I could spare a dollar, my heart broke thinking about Howell's victims. This woman standing before me would have eagerly stepped into Howell's van in exchange for 20 dollars, only to suffer unimaginable horrors before being strangled to death. Filming along the Berlin Turnpike. When interviewing a victim's family member this week, I was once again struck by the devastation that Howell has brought upon so many. The woman that I interviewed discussed what her sister was like before the drugs. She played the piano at church, she attended private schools, she looked like a princess on her wedding day. But because of the heroin, this woman remarked that her sister "was dead before he killed her." Heroin steals peoples souls, and in the case of Connecticut's most prolific serial killer, it provided a deranged man the opportunity to pick and choose his victims from a long assembly line of drug addicts that grows by the day.